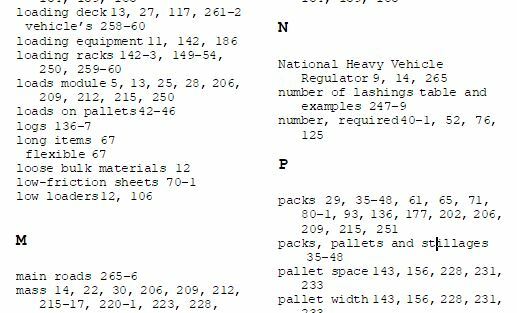 Most technical manuals require an index. We don’t expect readers to read through the entire document to find what they want. Most users dip in and out of a technical document and only want to go to the places where information is relevant to them. A good table of contents is essential, but an index will point to instances of key terms and phrases that are discussed in various contexts. You need an index if you expect readers to quickly find information such as legislation, regulations, guidelines and instructions. Documents that contain lists of items, such as wildlife, will also need an index. Everybody has used an index at some stage. We all know what entries are useful, and get annoyed when the entry we want isn’t there. That’s why edit or die indexing services manually controls the index entries – so your readers will be able to find what they’re looking for. I put myself in the position of the reader/user and imagine what they are looking for. With the aid of specialised indexing software, I vet the entries to ensure that they do what they’re supposed to do, and go where they’re supposed to go. The index is one of the final stages of a book’s production. The text must be in layout form, just as it will be printed or produced online, and when the page numbers or locations are set. The index is produced as an add-on to the end of that file, and the designer must make room (and time) for it to be incorporated. The document must be thoroughly edited before an index can be prepared. Sarah Endacott is a member of the Australian and New Zealand Society of Indexers (ANZSI).